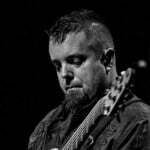 Q: What’s the best way to smoothen up my playing? I notice that a lot of bass players play like the strings are made of wool. I play a basic 4-string Cort G-series model, but I always get the feeling the strings are way to hard/high to play smoothly, or when I lower them, they make a lousy sound because they touch the frets higher up the neck (around fret 12 and higher). I can’t really find a balance between the two (especially for the E- and A-string). I figure I should buy new strings, but I have no clue where to start. Any ideas? A: This is something that’ll take some experimentation. You’ll need to discover what combination of string gauge, tension, material and height you prefer. This, of course, could also require a fair financial commitment until you get it right. Search out various bass forums and read articles of the players you admire, paying special attention to the players who have the tone and general approach you prefer. But remember: using the same strings won’t make you sound like them. But it is a good start. Try a lot of basses in music stores, via friends and reseach the gear played by the players you admire. Everyone is different, but I have no qualms about letting someone try my bass after a show if they ask. Some bassists may not be into it, but it couldn’t hurt to ask. Just be respectful and it’ll likely be cool. When you do buy a set of strings, adjust your action. Then live with that action for a bit, and play it a lot. Many things may not make themselves apparent to you immediately. For example, when I change my action, I often won’t know if it’s really set up right until I play one gig with it. I’ll go through a wider range dynamically on a gig than I will at home and I’ll sometimes discover that my action may be too low to really dig in, or too high to play fluidly at high-speed. While some guys do play with incredibly low action – like Hadrien Feraud or Matthew Garrison – the majority of guys actually keep their action a bit on the high side because a) it’s easier to get a sweeter sound out of a note when the string is free to vibrate fully and without hitting other frets, and b) wooden necks do move a bit when you travel and change climates, and we often just kind of get used to keeping it a little higher so we don’t fret out (and so we don’t have to futz with our instrument before every gig). Nickel strings are less sticky than steel ones. I was a steel string guy until a tried Nickels. I left them on for a few months and when I went to switch back to my normal steel strings, they felt like velcro. I couldn’t play as fluidly because my fingers felt sticky on my right hand. A little grease goes a long way! Have you ever seen someone wipe their face or nose while playing? It sounds kinda gross, but this is usually not just someone wiping the sweat away but, rather, someone lubricating their fingers with a little bit of face grease and/or sweat. It really does make your fingers glide more across the strings. Paying attention to the height of your pickups is also important. Often times, I’ve adjusted my bass only to realize that I wanted lower action, but not on the fretboard. Rather, I was wanting the lower action for my plucking hand. After adjusting it back to where it was and then playing with the pickup height, my bass felt great again. I only keep about 1/4? in between my pickup and string. If your pickup won’t adjust properly or won’t go high enough, you can often take off the strings, unscrew the pickups, put a little foam underneath and reassemble. This will give the pickup more upward pressure and can allow you to adjust the pickup properly, if you were having problems. Lighter string gauge = less tension = easier to play. Too light, though, and the strings might be too floppy to articulate with your right hand (and the thinner the string gauge the thinner the tone). You need to find a balance here. I tend to go the med/light route. Nylon wrapped strings are pretty great! There are a few companies that also make nylon wrapped bass strings (you likely won’t see them in stores but you can find them easily online). The upside? They are quite slick to the touch, have a great deep sound, have a very loose tension. I really like them for certain applications. Also, on a fretless, they won’t scratch up the neck at all and sound fantastic. If you like a bright attack or slap, nylon strings likely won’t be for you. They are steel strings, wrapped in nylon and provide an old-school muted sound (kind of like flat wounds but they feel way better to my fingers). The downside? They are more expensive and harder to find. Coated strings are something else worth exploring. I’ve found that many of the brands feel a bit slicker to the touch than uncoated metal strings. Personally, I use D’Addario Nickels 95% of the time. But I’m still experimenting with the perfect gauges. I’ve been trying to balance my upper register with my lower register so, on my 6 string, I’ve tended to get a thicker gauge C string and a lighter gauge B string. That’s basically the XL170 Nickel set from D’Addario. I also like the XP170 coated strings from D’Addario as well as their tape-wound strings. I’ve played these so long now, they feel like home. Again, I’d experiment with various brands and find what works for you. Lobella is the only company I know of that makes Nylon (or tape-wound) strings for 6 string basses. A lot of guys like DR strings. Before I tried D’Addario, my favorite strings were actually the Fodera strings which I used to buy online. You might also try finding a good luthier or repair guy and having them do a setup for you. Now, all the above covers an approach to finding the right strings. But you did ask about playing and indicating how some make it look effortless. This goes well beyond strings of course. This requires thousands of hours with the instrument in our hands. Strings are a small part of the equation, the setup a slightly bigger part of the equation, but the majority of it is the amount of time you spend gigging and shedding. As the instrument becomes a part of you and your muscle memory, your preferences will become clearer but nothing makes you feel more comfortable on the instrument than years spent with your hands on it everyday. Readers, what’s been your approach to finding the perfect strings for you? Please share your story in the comments. Heavy Gauge DR Stainless Steel Lo-Riders for me, they give my bass the perfect amount of growl and thunder that I want being in a metal band. I do play drop C, so the action set-up was a pain but once it was right man was it RIGHT. Can you say something about flatwounds? I hate the way flats feel. That’s about all I can say about them. If I’m looking for that old-school thump, I use the nylon wrapped flats that I mentioned. They feel incredible. GHS Pressurewounds are a great halfway point between rounds and flats. Superb strings. Thomastik-Infeld Jazz flats are about the best strings I have ever bought. Very articulate, with a great mid-range growl. Lower tension than what I was used to, so they are super easy to play. I can down tune them, and the tension stays very close to standard tuning. Current set is 5+ years old, altough they have low mileage. They are on my Mexi-Jazz fretless, which is currently tuned to Eb and used for my Sabbath tribute band, so they are getting a pounding. I will NEVER need to replace them unless I break a string. I tend toward La Bella 760FLs. I’ve used D’Addario Chromes, Fender Flats, and GHS flats, but none of these seem to last quite as long as the La Bellas under my workload. What I find to be of most importance is feel, and this is where there’s no accounting for taste. I have used several types of nylon tapewound strings, but I always came back to La Bella for those too. I will admit, I look back on tapewound strings fondly, but they aren’t cheap. I plan to go back and try them again when that becomes economically feasible for me. I stunbled upon Sadowsky Flats a few years ago and I’m sold. They have a very lively feel for a flat wound. I love the fact that while recording, there is far less string noise and I also want my bass to sound like a bass. I’m not a soloist so…I like my tone a little lower than most. I’ll go for the D’Addario flatwounds or halfwounds once in a while, both play really nice though feel slower than ringwounds. I really love the halfs, they get the feel and low end thump of flatwounds, but the high end overtones of ringwounds. 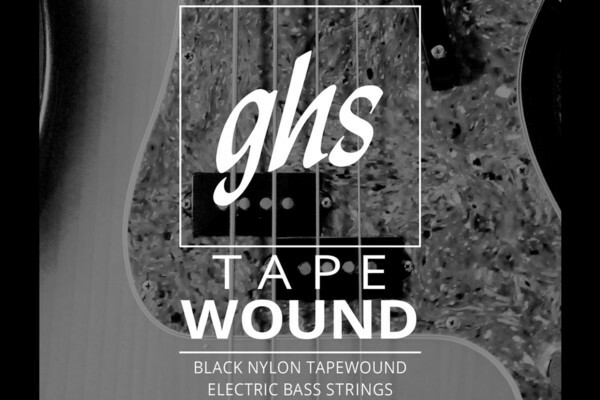 I also use La Bella nylon wound on my fretless and they are thumpy and get a good thwack with slap, though I feel like they get warm when I slide kind of reminiscent of rug burn. Also take tapper wound strings into consideration. They are thinner at the point they touch the bridge (like piano strings). Because of this they feel softer, they have the thicker sound like heavier gauge but the smoothness of light gauge. Most of the cases they use it for the E and B string, but at these you feel the biggest difference. I made my best experience with Elixir strings after checking about 10 different kinds over the years. I like the heavier gauge cause I am kind of a physical player;). Ken Smith TAPERCORE is a good string. First, it depends on the bass, and the sound I’m looking for. A short scale vintage or vintage style Hoffner or Gibson EB tends to sound much better with light flatwounds- I prefer the Rotosound shortscale set, but want to try Pyramid Golds some day. For regular scale basses, I’m a fan of the old 70’s sound of Entwhistle, Squire, and Lake, so it’s standard Rotosound 66’s. And a proper setup does make a world of difference. DR Lo-Riders. love em! Rotosounds are great, too. I agree that D’addario’s are good, universal string. Flatwounds, I only use on my fretless. Always takes a cpl sessions to reaquainte my fingers, but always loved the sound. Everything else, just play around, experiment, and read an article on intonation before messing with height too much ;). I like light gauge nickel rounds. in my experience most people have a breakthrough when they realize how easy it is to setup their bass. my suggestions, to most anybody who is having trouble with fluidity of playing are, practice! (duh! ), perform your own Nickel vs Steel test (a local guitar shop here only puts steel strings on their basses, so alot of my friends never try anything different), Lower your action! (The first time I lowered my action on my pos bass was the first time I realized I didn’t have to stress my right hand out all night) if you find your preference of the second 2 and still have trouble go back to #1, if you can’t find your preference go back to #1, once you find your preference go back to #1. I don’t know if they’re available in the US but I love Bass Centre Elites. I used .45-.105 gauge. They’re super zingy and last forever. I think they’re coated with something, however I don’t know what. I use GHS Boomers. They are the final piece of the tone puzzle that goes through a Jazz bass and comes out an SVT. Something was missing until I started using these strings. 1. Could no better picture be found than a closeup of a Telecaster for this topic? 2. Short cut for setup: Nut height affects frets 0-4, truss rod affects frets 5-12, bridge saddles affect frets 12 on up. Figure out where you’re buzzing and go from there. 3 I bought a set of DR’s once and regretted it because the overwind started after the bridge saddles on my 6 string, so it gave the impression that I had lower action than I had previously set up for. Best string advice? Trial and error. There’s a reason there are a ton of brands of instruments and strings, as it turns out, there are a ton of musicians. Pick what’s comfy and what’s right for your bass. I have tried several brands including Ernie Ball Slinkys, D’Addario Blue Steel, before settling on DR Black Beauties. I have loved the tone and longevity of the DR strings. My first set was Low beams, then Hi Beams, Marcus Miller signatures, and finally making the switch to Black Beauties. I set my action fairly low, and just as important make sure to get the radius matched. In addition to all of the excellent advice from Damian, I’d just add that it also is different for different instruments. I use light D’Addario nickel-wounds (EXL170) on most of my basses; however, I have a 1973 Jazz (maple) with Rotosounds, a Warmoth Jazz (rosewood and EMGs) with D’Addario ProSteels, a Precision (maple) with heavy GHS Boomers, a Strings & Things Custom (maple) with Labella Hard Rockin’ Steels, a Musicmaster with D’Addario Tapewounds, and a Precision 5 (rosewood) with D’Addario Brite Flats. This combination has come after years of experimentation. Each of my instruments has its own unique sound; a major part of that is the string choice. 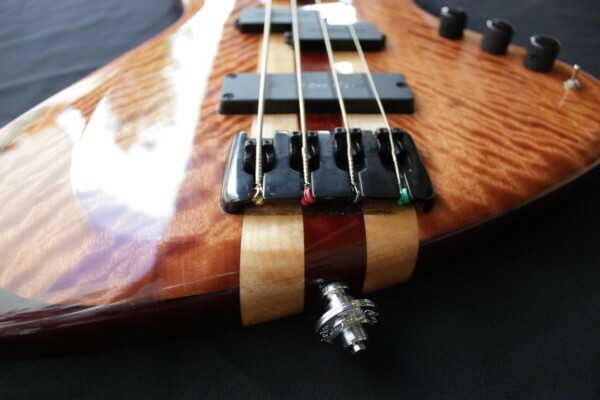 For example, the Warmoth Jazz with EMGs sounds great with the nickel D’Addarios that I use on most things, but the ProSteels really put it into a category all its own (among my arsenal); however, the ProSteels don’t cut it for me on any of my other basses. Similarly, the Labella Hard Rockin’ Steels sound great on the Strings & Things Custom, but I don’t like them on anything else. I worked in music stores for about 15 years. At one of those stores, I managed the small goods, including strings. Although we were a relatively small store in a very small market, I stocked over 30 different kinds of bass strings, as well as a huge variety of single strings. The acoustic guitar string selection was probably twice as big! People would come into the store and ask, “What’s the best kind of string?” My response to that is that it’s like going to Baskin Robbins and asking what’s the best flavor of ice cream. If there are 31 people in the store, you might get 31 different answers. Strings are, like so many other things regarding our instruments, a personal preference that is based upon countless factors. They are also an easy way for people to experiment with different sounds and even to help enhance creativity. Years ago, I tried GHS Bassics because they were very affordable. Turns out, they were also nearly indestructible – last forever. Nickel wrap over SS – great, consistent tone & feel, and still the most affordable. 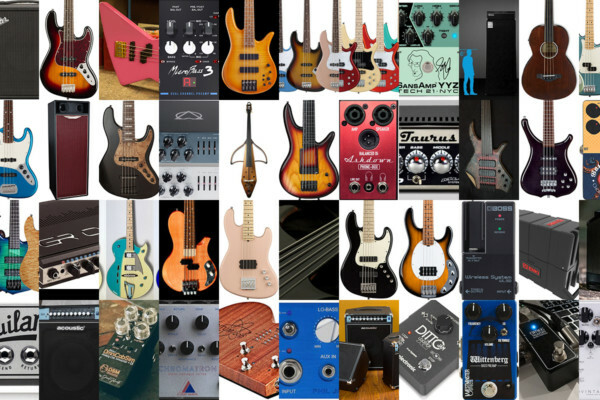 Before Bassics, I tried every brand/type I could, looking for “my” strings. Stopped looking after that. Medium guage with my action on the high side on a 65 Jazz – I’m happy. I am loving my light DR sunbeams. Really soft and very clear fundamental tone.They are extremely modern sounding but if you are into that sort of thing I highly recommend them! Great strings for J-type basses! beginner bass player and fond of the SIT strings. Strings are just one aspect of playing. Gotta have ’em, but there’s a lot more going on than strings. 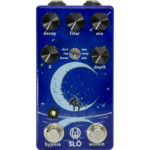 The touch, the feel, how hard or easy you play, WHERE you play on the bass, tone controls, volume controls. I wouldn’t begin to count combinations. The main thing is what YOU want to hear and how YOU play it. I have 2 basses, ’76 Precision that I know took me over 2 years to get set up my way, tried over 20 sets of strings but for me…. Fender Flatwounds….. nothing sounds better. For the Peavey 5BXP, had it 2 years now and, yep…. still in the set up mode and just put on a set of Fender Flatwounds…..so far so good…. YOU have to decide if it’s the sound YOU want……. One mans ceiling is another mans floor. I’ve been playing the same ’68 Fender JazzBass for 44 years, so I have tried many different strings as my tastes in music and favorite bassist evolved. When it was new and I was 14 I didn’t know squat about strings and Fender Bass’ came with steel flatwounds. I heard Chris Squire /Yes in concert and immediately went to Round wound Rotosounds. I played in a a college jazz ensemble in college and Fender had the Nylon wound and I used them for more of a Doublebass sound. I treid GHS BassBoomers( sounded OK to me). In ’94, I discovered R.Cocco Med. Nickle Roundwound strings and used them ever since, tone, longevity, feel. Like I said one mans ceiling, I would definitely take your bass to a reputable luthier and tell him what you want or ask him for suggestions, advice doesn’t cost anything, if he plays(and most do) get to know him and the guys at your local music store, I tend to stick with the indepentents and not the Guitar Centers of the world. All the advice I’ve read here is good. Keep on plucking or thumping and don’t give up. I personally have tried a couple of brands in my few years of playing, and I find that GHS Bass Boomers are my go to string. I use the 115-50 (for drop tuning but I also play in standard, which I like high tension strings).They have a very warm sound to them, but they are not the brightest string out there.They work best for my bass’s tone (Epiphone Thunderbird 4 string). I’m not an expert Bass player though I do play electric guitars. The first bass I got the E-string that came non it was big enough to tow cars and it really buzzed badly in tune. I have found with a couple of guitars that were made in Asia that some of those countries can not cut a decent string nut. After replacing the nut, they played spectacular. It is good to have a good luitier to set up your instrument the first time. Pickups can be another thing in which decides your strings. My bass Had the old Mud and Thud type neck pickup with a mini humbucker bridge pick up, so, a medium light guage gave me a little more mids. after losing that big cable of an e- string the fret buzz was noticeably less. a good set up helps to pinpoint the problem better. I use different strings for different basses. My fretless currently has rotosoynd flats 45-105. I also use tapewounds on it sometimes as well. My gretsch has fender flats 45-105 on it. My aerodyne p bass has fender rounds 45-110tw on it so I can go to drop D and not get too floppy on the E string. My 60th anniversary p bass has d’addario even tension strings, 50-120 (yes it’s a 4 string). That stays tuned to drop C# , so the extra heavy E string isn’t quite as bad as it sounds. This also means each bass sounds very different and I can always find the sound I want. It does take a while of constant experimenting to find the right strings for each bass, but when you find what works for you, you’ll know it right away. What about the CORES though? Anything to say about what hexagonal cores and round cores are typically respectively beneficial for?